Fortunately, many mammal species can go without water, some drinking only when water is available. One species, which is completely independent of water, is the klipspringer. Confined to rocky areas, its distribution in the sub-continent is very patchy. 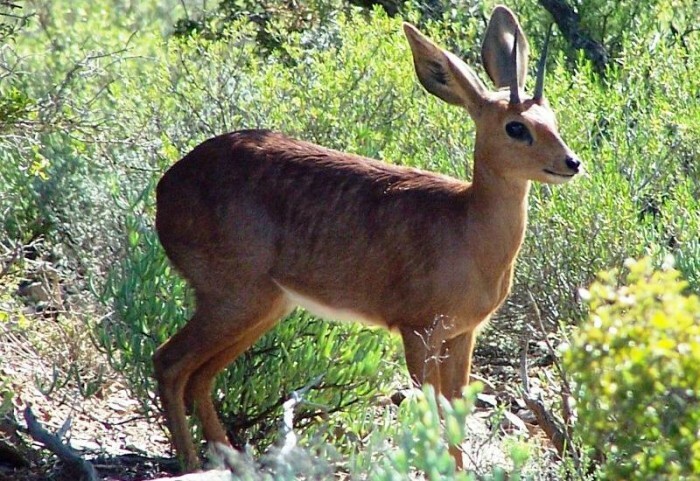 The Witteberg mountainous terrain is an ideal habitat for klipspringers. Agile and sure-footed on rocks, they can outpace any ground predator over rocky terrain. Strict browsers, they take leaves, shoots, fruits and flowers from a wide range of available vegetation. They also chew bones and eat soil to obtain the necessary minerals. Grey rhebuck are found in social groups of up to a dozen per group consisting of an adult ram, several females and their young. The ram establishes the territory, which can be from 30 to 135 hectares in size depending on the habitat. The nocturnal aardvark is a solitary animal, except during mating periods or when females have youngsters to raise. 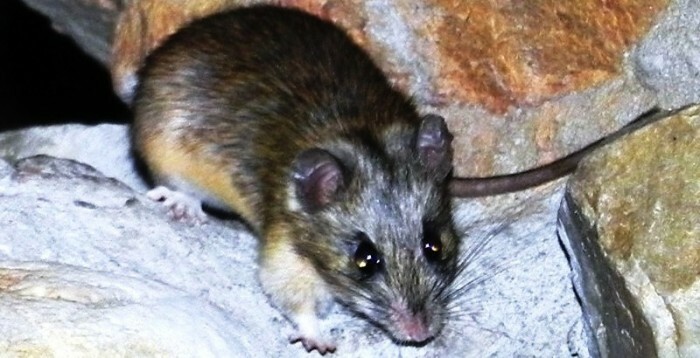 It has an acute sense of hearing, assisting with both locating termites underground and also detecting predators. It eyesight is poor. Porcupines, also nocturnal mammals, shelter during the day in caves, rock crevices or burrows taken over from animals such as aardvark. They adapt these shelters to suit their specific requirements. Although the basic social unit is a monogamous pair with their current litter, larger groups often share burrows. Porcupine pairs are bonded by daily mating. Only one pair per group breeds, although subordinate females mate without conceiving. When threatened, porcupines erect their quills, growl, rattle the quills, and rush towards the attacker, stabbing and dislodging their loosely rooted quills into the attacker. Not often seen, their presence is confirmed by veld littered with their sharp pointed black & white quills, indicating scenes of confrontation with predators. Both hare species found here have a similar habitat; the Cape hare preferring more open habitat than the scrub hare. The latter has longer ears, especially in the south-western Cape where their ears are up to 4 cm longer than those of scrub hares to the north of the country. Both species are active from dusk to dawn, hiding under bushes during the day. 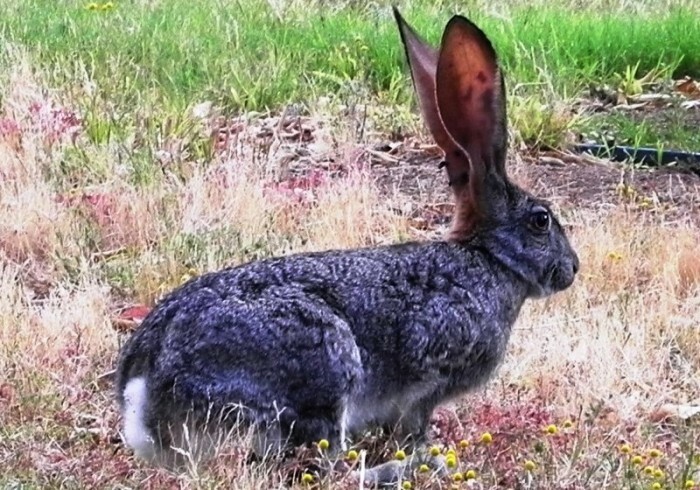 The Cape hare also hides in holes dug by other species such as aardvark to escape predators. This behaviour is not seen with scrub hares. When pursued by a predator, both species run in a straight line until the predator is just behind them, at which point they suddenly dodge to the side. This behaviour is often seen when encountering these species while driving at night. Dassies live exclusively in rocky areas. They have a unique digestive system in which bacterial fermentation occurs in a sac at the end of a small intestine. They have adapted to their environment and life in rock crevices resulting in the peculiarity of having no tail. They eat a wide variety of vegetation, feeding to avoid the midday heat. Effective metabolic systems allow them to drop their body temperature up to 3 degrees Centigrade and then warming up again by basking in the sun with their coat fluffed up to expose their dark under-fur to absorb the heat. As small as they are, they are the closest genetic relative of the African elephant. 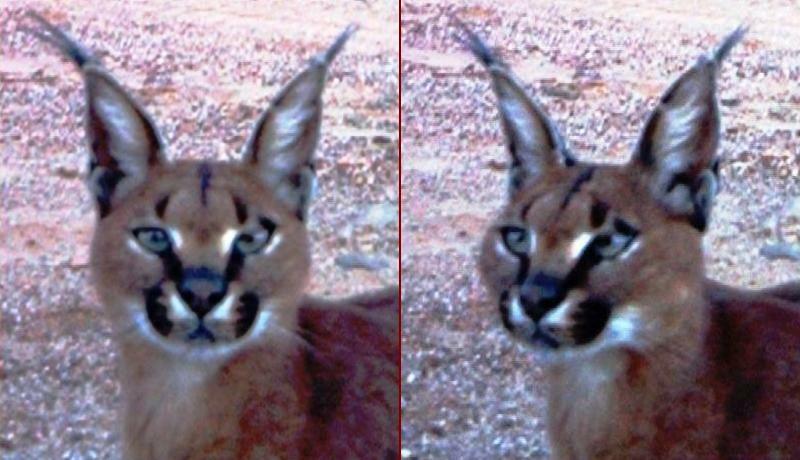 At least three cat species occur here: Leopard, caracal and the African wild cat. 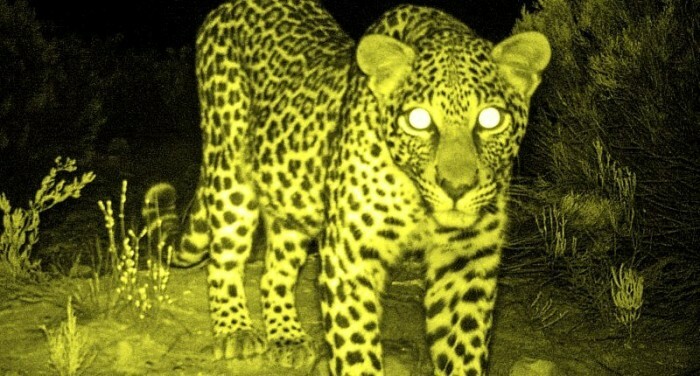 Leopards have a wide habitat tolerance, preferring broken rocky country or forests where there is good cover for shelter and hunting. Not dependent on water, they are well suited to arid areas, but not to proper desert habitats. A mostly unknown fact is that they live off a wide range of vertebrates, including mice, birds, reptiles, fish and large game. They also eat fruit and sometimes scavenge, but rarely kill people. Leopards are most active at night, with both sexes solitary and territorial. The main habitat requirement of the bat-eared fox is the presence of harvester termites, which make up a large part of its diet. Its diet also includes insects, scorpions, spiders, small rodents, reptiles, small birds and fruit. Chacma baboons can live almost anywhere provided that there is food, water & suitable sleeping sites. Like humans, they are omnivorous, active by day and sleep at night. Intensely social, troop sizes vary between 4 and 100 individuals with an average troop size of around 40. Troops have home ranges but are not territorial, avoiding other troops. An interesting (and politically incorrect) social system, females stay in the troops in which they were born in, while males may move from troop to troop. Males outrank females, daughters inherit their mother’s rank, male dominance depends on physical condition and top rank is held for 6 to 12 months. Females can rise in rank through alliances with close female relatives or male friends.